Booklice Control Port Elizabeth » Tel: 0828105617 » Port Elizabeth The Port Elizabeth Pest Control Experts! Booklice control here in Port Elizabeth is quite a rare problem but is still prevalent in and around Port Elizabeth. In Port Elizabeth booklice are mostly found in damp dark areas around mold and fungi. Booklice are also prevalent in libraries, labs and storerooms nesting in books and boxes or stored goods. Here in Port Elizabeth many booklice are not capable of flying although they may have wings. 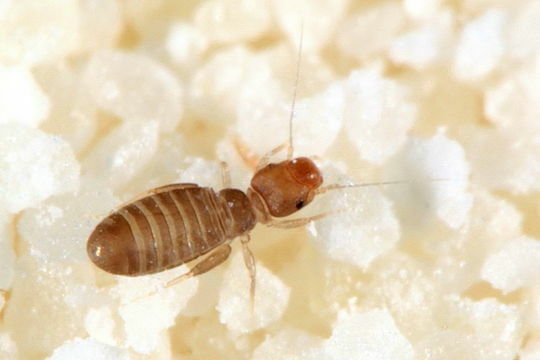 Treatments for booklice can become very trick as they nest and dwell mostly in hard to reach areas but here at Port Elizabeth Pest Control we have equipment and the latest technology in chemicals at our disposal to ensure you booklice are pests of your past. Call Port Elizabeth Pest Control now too book your booklice control treatment and eradicate booklice before they cause too much damage to you prized possessions. Out Port Elizabeth staff are on standby to take your call 24 hours a day and trained to deal with any pest control inquiry you may have in or around Port Elizabeth.